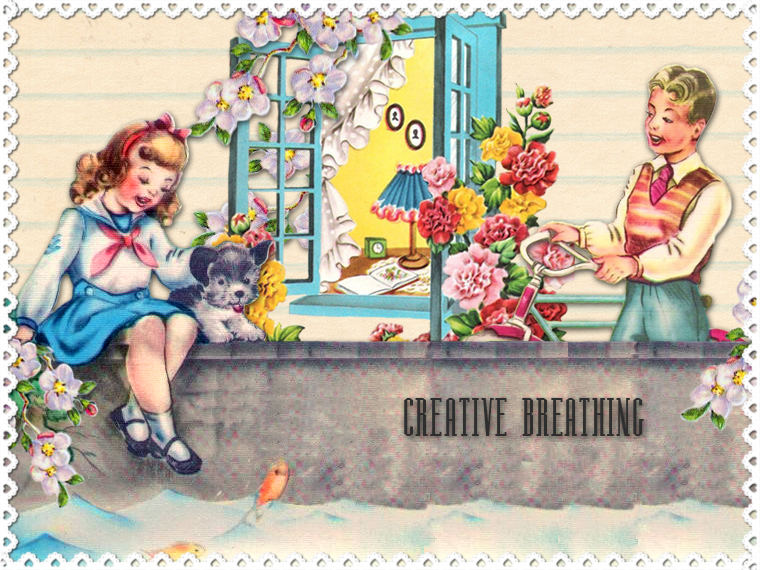 Creative Breathing: "Meet Me In St. Louis"
When my children were young, I would ask them if their hearts needed refilling. I would then scoop them within my arms and squeeze them with love from the supply God gives all mothers. Inextinguishable. I would ask how full they were. To their knees? To their shoulders? To the tippy tops of their heads? As soon as they would say they were full, I would say "Quick, let me seal your heart with a kiss." This is how my heart feels today after stopping by blog after blog to be filled with the creative squeezes of the most wonderful group of women I have ever had the pleasure to know. Themes carefully considered, papers chosen, embellishments gathered, creative thoughts and techniques shared. A joyous year long adventure begun. A hostess overwhelmed with gratitude. I felt my mother's presence very close to me as I viewed each tag wanting to leave just the right comment to convey the appreciation of effort and recognition of talent. Most of all I wanted to tell you how much your work has touched me. Blue skies, snow on the ground, a beloved town whose every street is a welcomed byway. My Heart is Very Full Today! Such a lovely post, Elizabeth! Beautiful words, and beautiful homes. Do you really live near them? That would be a dream come true for me... 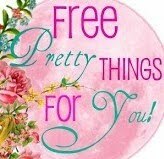 Speaking of dreams come true, I am SO happy to be a part of your Happy Homemaker tag swap. Like you, my heart feels full because of this amazing group of creative, talented, generous women! Can you believe it...its my favorite all time movie. I could recite it word for word. The technicolor beauty. Wonderful music and voice of Judy G. Dreams can come true. A few months ago I came across the old sheet music with Judy on the cover. I should have guessed that you would live in such a picture perfect place. Thank you from the bottom of my heart for such a wonderful opportunity to share and welcome friends alike. I am excited to step up for February. The words of a true author! You have touched my heart, filled me with a since of love and giving. Thank you Elizabeth for co-ordinating this wonderful adventure for all us women to delve into hook, line and sinker. Does fishing count in homemaking? I think it does. You are a true gem. 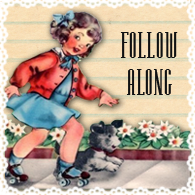 I will be following you until the cows come home... Is that homemaking? I think it is. I have just recently discovered your blog and have enjoyed going thru your posts and looking at all of your handmade lovelies. I also love your "does your heart need to be refilled" idea. So sweet.... makes me want to hug my kids right now! Thank you sweet lady for stopping by and touching my heart today. You are so sweet to support my crafting, I just so wish we could finally get together and play! You have inspired me so much, and brought me a certain happiness that I haven't felt for a long time ... through your wonderful stories and your extraordinary crafting ... my sweet hubby and I have had so much fun planning my tag ... he has been going through our collection of children's books looking for images ... giving his opinion on placement, etc ... you gave us something else to enjoy doing together and we love it! I absolutely love that first paragraph. Your children must really feel loved. Meet me in St. Louis when Judy meet Minnelli a truly classic movie. Your children are lucky to have you as a mother to refill their souls with such love, a lesson everyone could learn in this day and age. You are an inspiration so thank you again for being You. Thank you so much for hosting this swap!! It's so much fun to visit new friends and add them to my blogging circle!! You are a truely a very warm person. You're children are blessed to have such a good mother.I wish you all lots of love and happiness. Dutch greetings with heart & soul, Sil. Oh, I loved reading this post...even though the scenery looks chilly, the sentiments are warming. Thank you for all your kind words. Oh Elizabeth! You are the very best of mommies, this post just tugs at my heart. So very dear. Sorry for having been an infrequent visitor - hubby's been on holiday break for three weeks. I have peeked in while having my morning tea and everything is so charming as always. Can't wait for the time to linger with you here and catch up. Love your doggie, thanks so much for sharing it with us.